Mexican street corn is a favorite food truck item that is highly popular in the Latin community. 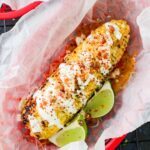 This grilled Mexican street corn recipe made at home is fully loaded with crema, melted cheese, queso fresco, bacon and Tajin! 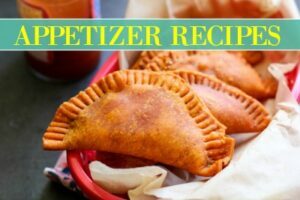 The whole family will love this creative street corn recipe. With the grilling season here, we’re all on the search of what the next greatest thing to grill is. I recently made the Cubano burger on the grill, Puerto Rican BBQ pinchos (kebabs) on the grill, and amazing Mojo pork pinchos on the grill too! Needless to say, this is just the beginning. 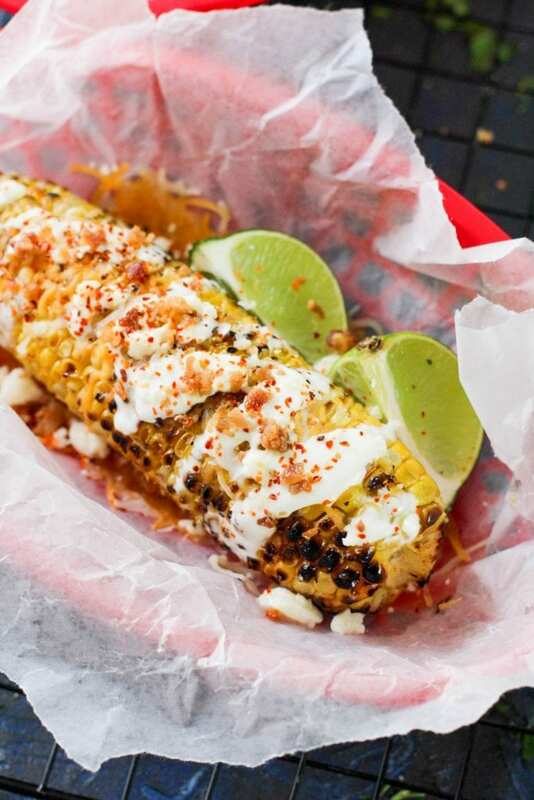 Mexican street corn is basically a grilled or boiled corn that is loaded with toppings. Mexican street corn is messy, tasty, and delicious. Napkins are necessary! For this Mexican street corn recipe, I started with grilling my corn. I grilled it for a total of about 17 minutes, turning every few minutes so the corn was tender and slightly charred. Once the corn was done to my liking, I generously brushed it with butter before removing it from the grill. Then I placed it into a serving dish and topped it with shredded cheddar cheese, drizzled over some Mexican crema, dropped in crumbled bacon, crumbled some queso fresco over it, and finally dusted a little bit of Tajin seasoning on top for good measure. 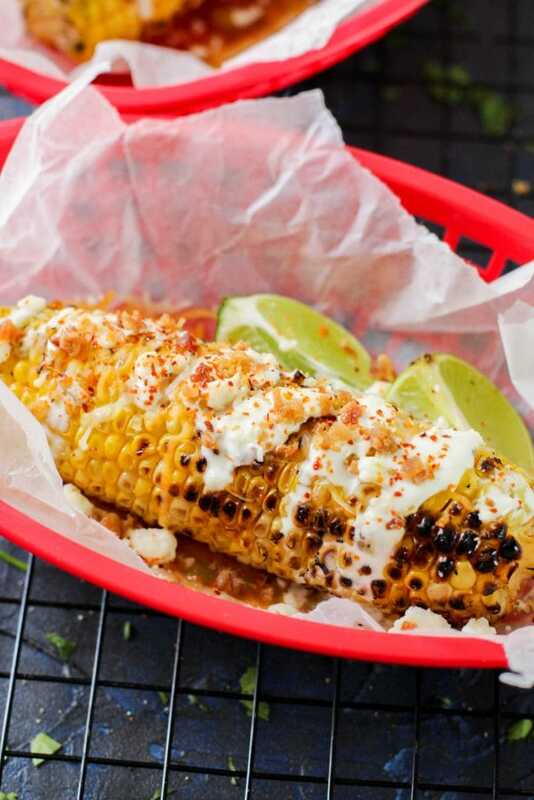 This Mexican street corn recipe is the bomb. 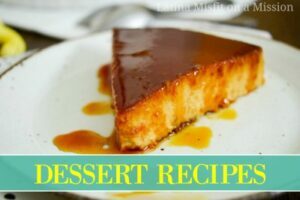 Seriously, so good! What can I put on my Mexican street corn? Mexican street corn can be made with crushed hot Cheetos, feta cheese, nacho cheese, whatever topping you’d like to use. 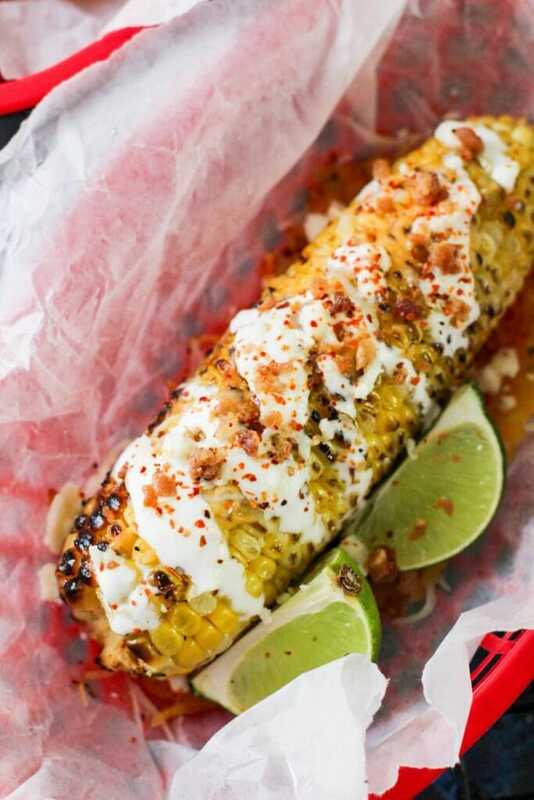 If you want more of an Elote style Mexican street corn, add in mayonnaise, Tajin seasoning, and cotija cheese. So good! Making Mexican street corn at home is easy! If you have a grill, I highly suggest grilling your corn naked for 15-18 minutes. 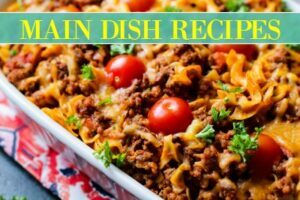 Brush butter and add your toppings. You can also boil your corn until the kernels are tender, about 12-15 minutes. Is Mexican Street Corn served hot or cold? Can Mexican street corn be made ahead of time? If you want to make Mexican street corn ahead of time or to bring to a potluck, I highly suggest grilling or boiling your corn, and keeping them warm in a slow cooker on low with butter over the corn. This will keep it hot, moist, and ready to assemble. Just keep all of the toppings off until it is time to serve. Can Mexican street corn be frozen? Nope. Mexican street corn should not be frozen. If you have a plate and are too full and want to refrigerate it a few hours and heat it up in the microwave a few seconds for a midnight snack, by all means, enjoy a little street corn while binge watching Sabrina on Netflix (show is so good). But please, do not freeze Mexican street corn, this is something meant to be eaten fresh. Is Mexican Street Corn Healthy? Street corn is high in carbs. Corn in general is high in carbs. But street corn is not a processed food, so in my opinion street corn is a healthy side dish. If you’re looking for a healthy street corn recipe, I suggest watching your toppings (don’t add crushed Cheetos). Is Mexican street corn keto? 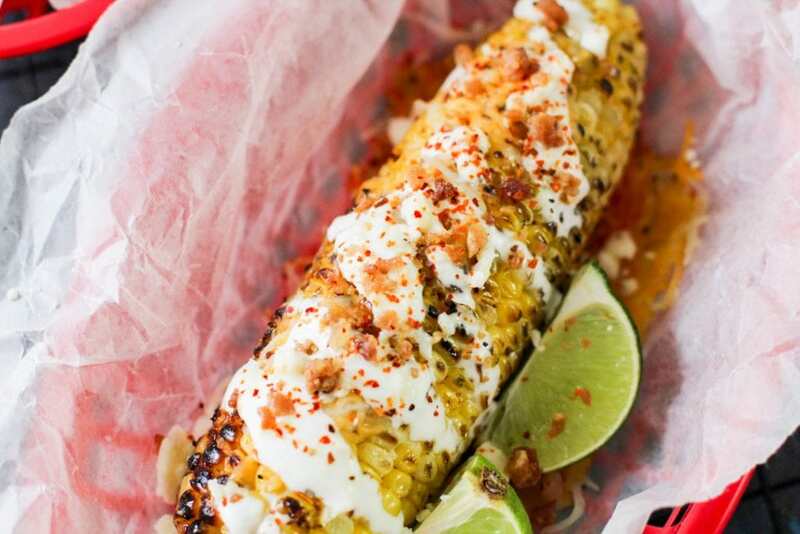 Most of the toppings used on street corn recipes is keto friendly, but corn itself is not keto approved, so Mexican street corn is not keto friendly. Is Mexican street corn gluten free? Mexican street corn is gluten free. Hip hip hooray! Just like mentioned above, to keep Mexican street corn gluten free, be mindful of your toppings. No crushed anything with gluten! Now that we know everything we need to know about Mexican street corn, let’s find our what’s best served with Mexican street corn! 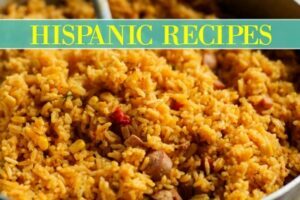 Spanish rice is always the classic choice to go with street corn! White rice with black beans is the perfect complimenting combination for street corn! Yuca con mojo (cassava) is a great side dish for street corn. Pernil (roasted pork) is the only protein choice to go with Mexican street corn. Thirsty? 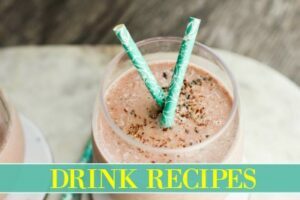 Have a glass of coquito while you’re at it! Fully loaded street corn, made at home! On a oiled and preheated grill over medium high heat, add in corn and cook for 15-18 minutes, turning occasionally and brushing butter over corn as it cooks. Cook until kernels are tender and slightly charred. Remove corn from the grill and immediately put on a serving dish and add in shredded cheese and toppings as desired and serve.